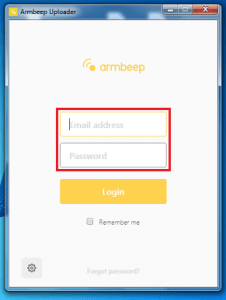 Before you start to use Armbeep system, you have to create your personal Armbeep account. On the official web site www.armbeep.com, click on Login button in the upper right corner. 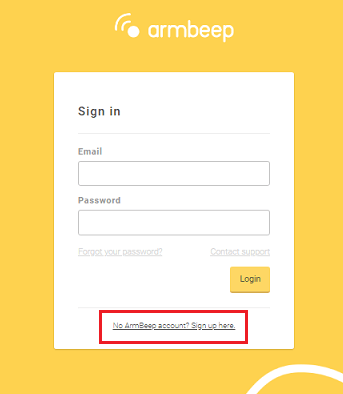 Click on No Armbeep account? Sign up here. 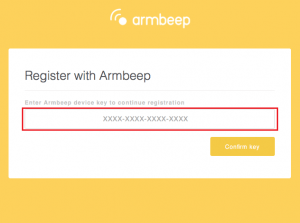 Enter Armbeep device key, that is listed on your Quick Manual. 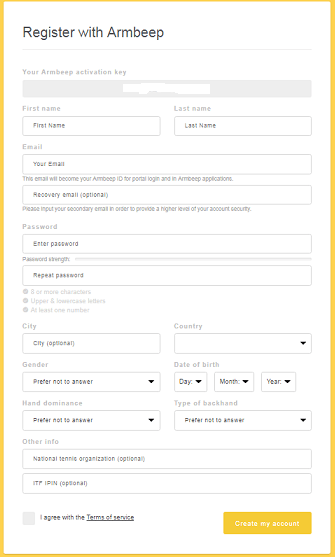 To continue registration, click on Confirm key. 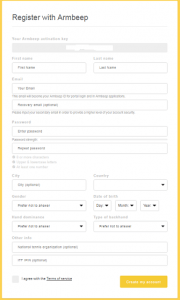 Fill the registration form and click on Create my account. Check your email inbox. 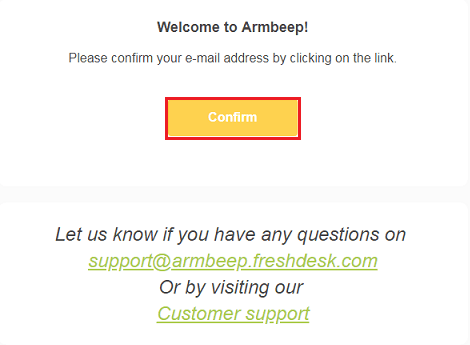 To confirm your e-mail address, click Confirm. After you’ve made a conformation, Sign in to your account. 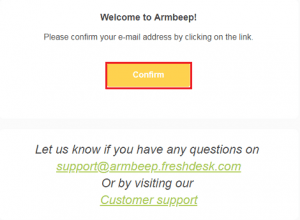 Enter your email and password and click on Login. Your personal account is now ready to use. 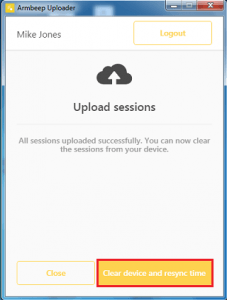 To enable uploading sessions from your Armbeep device to your personal account, you have to install Armbeep uploader software. Click on Download uploader and follow the instructions to set up the Armbeep uploader software to your desktop. 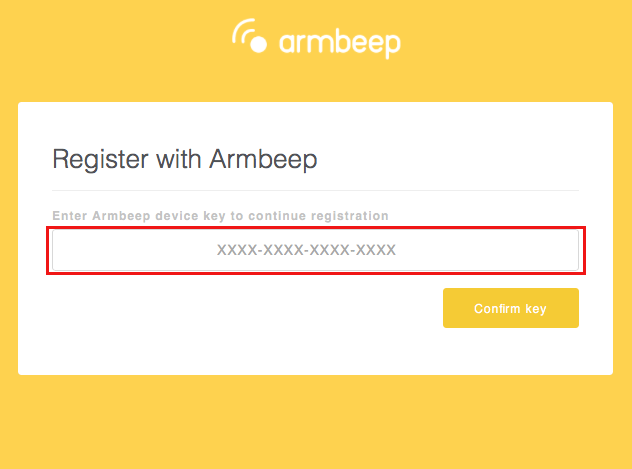 Before you start using your Armbeep device, you have to charge the battery (aprox. 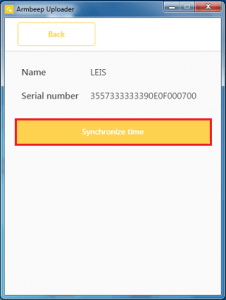 1h) and synhronize time of your device! Run Armbeep uploader software from the desktop of your computer and click on Settings icon in the bottom left corner. To finish synchronization, click Synchronize time. 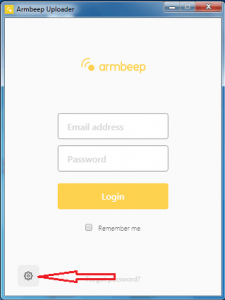 Your Armbeep device is now ready to use. 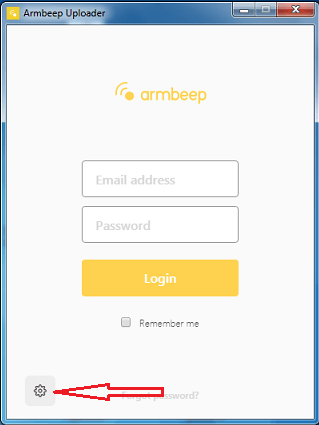 Connect your Armbeep device into your computer and run the Armbeep uploader software from your desktop. 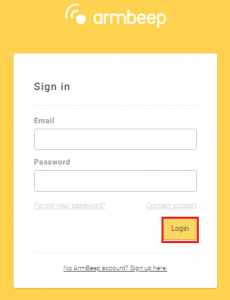 Enter your e-mail and password and click “Login” button. 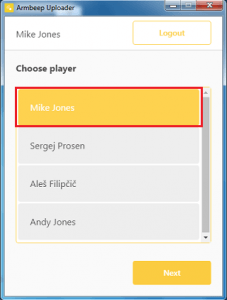 Select player’s name and click “Next“. 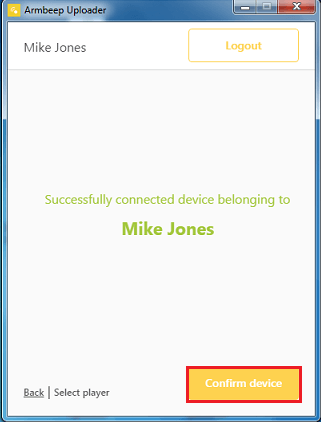 If device is successfully connected, click “Confirm device”. Wait a few seconds for synchronization to be finished. 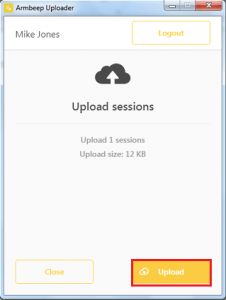 After synchronization is finished, click on “Upload” button. 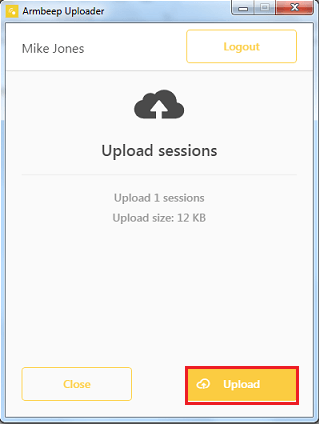 Check in your personal account the Sessions list, if all the sessions were uploaded successfully. Than click on “Clear device and resync time” and disconnect your device from the computer.